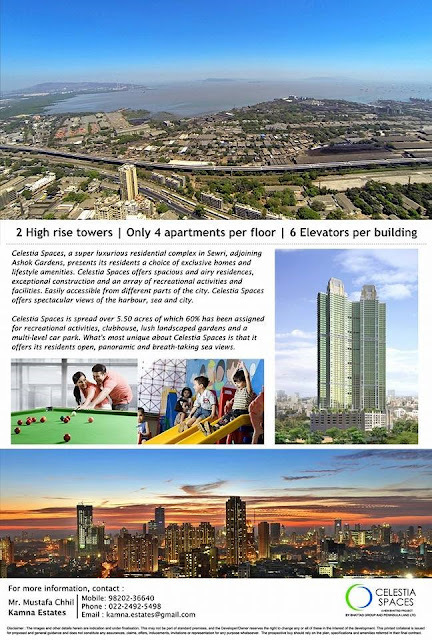 Peninsula land, a part of Ashok Piramal group, launched its long-awaited project Celestia Spaces in Sewri in collaboration with Bhattad group. 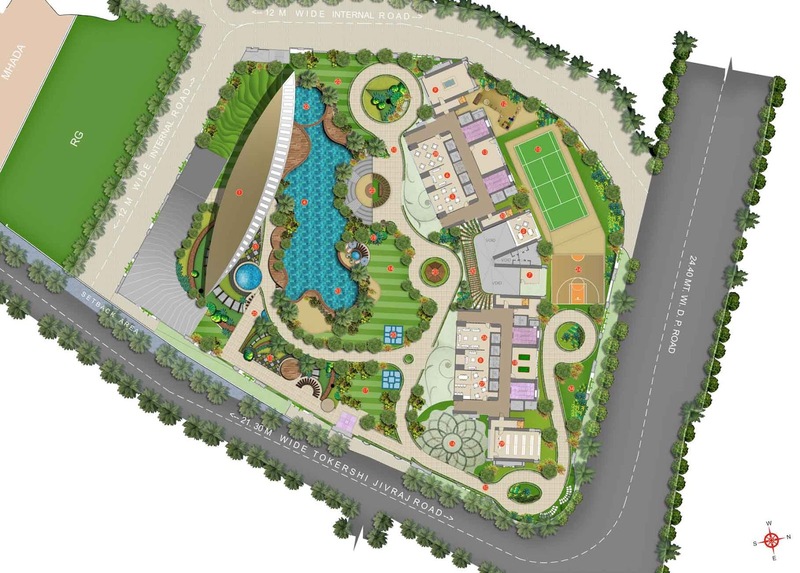 The project is very close to the other landmark project Ashok Gardens and is spread over a plot of 18 acres. It promises to be another substantial addition to Mumbai’s ever expanding skyline and another luxury project on the eastern side of Mumbai. 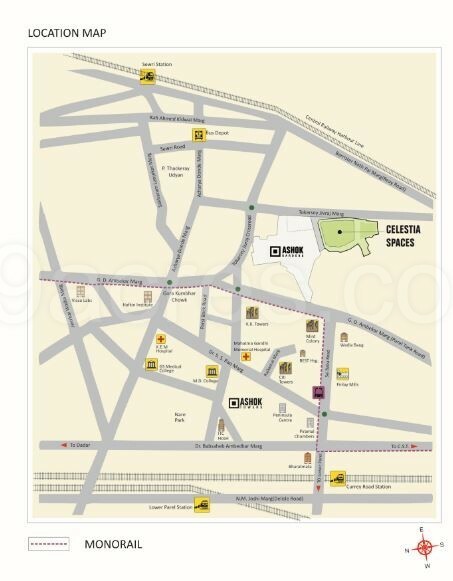 The location is very good, right behind Ashok Gardens and is in a quiet area of Sewri. Being the part, of undiscovered Mumbai, it is ideal for working professionals who want to live near the commercial centres of South Mumbai and BKC. The plot is also apparently freehold and is quite large. The main feature is the unobstructed harbour and western views which the apartments will offer. The lack of any major tower for a few kilometres on the front side will also add to the icing on the cake. Given the prospect of development of the Sewri Nhava Sheva Mumbai Trans Harbour Link, Phase 2 of Monorail (with the close proximity to Bhakti Park Station) and redevelopment of MBPT, the project should command a significant premium in the coming months. I can imagine price appreciations similar to escalations in the landmark Ashok Gardens (which incidentally shares a common wall). The current phase of the project will be spread over an area of 5 acres of the overall area of 18 acres. It consists of two towers overlooking clubhouse with green amenity space between them. The plot shape for the current phase is relatively square with 2 adjacent roads which go well with the master plan. The project boasts of a lot of amenities which should be in line with the other marquee developments like Ashok Towers and Ashok Gardens by the developer. The project consists of 2 and 3 bedroom apartments. Let's look at the floor plans for detailed understanding. 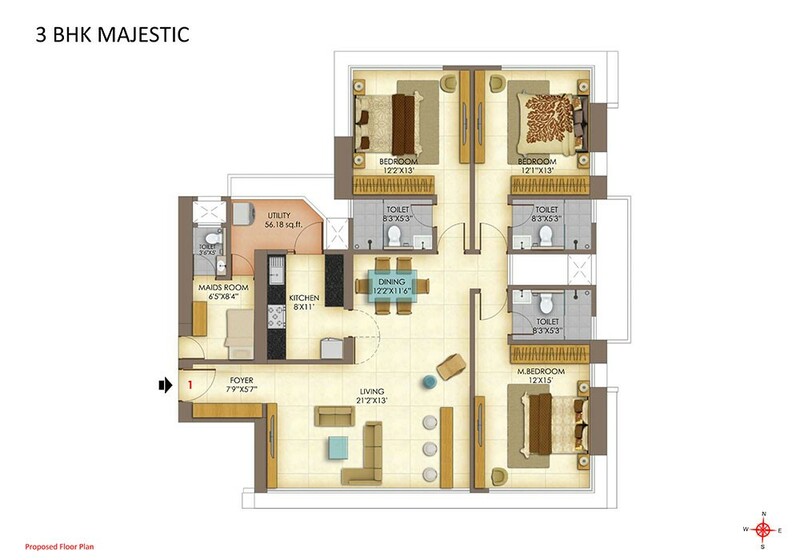 Overall, Peninsula has come out with decently sized apartments which go with the premium attached to the location. Although the sizes of master bedrooms in the apartment are good, the other bedroom is relatively smaller to our liking for a luxury development. There is a space about 40 square feet in the foyer which could have been used more productively. Except this, the two bedroom floor plan is relatively efficient and there is a provision for common toilet and a common sink as well which should come in handy if you ever have to entertain guests. 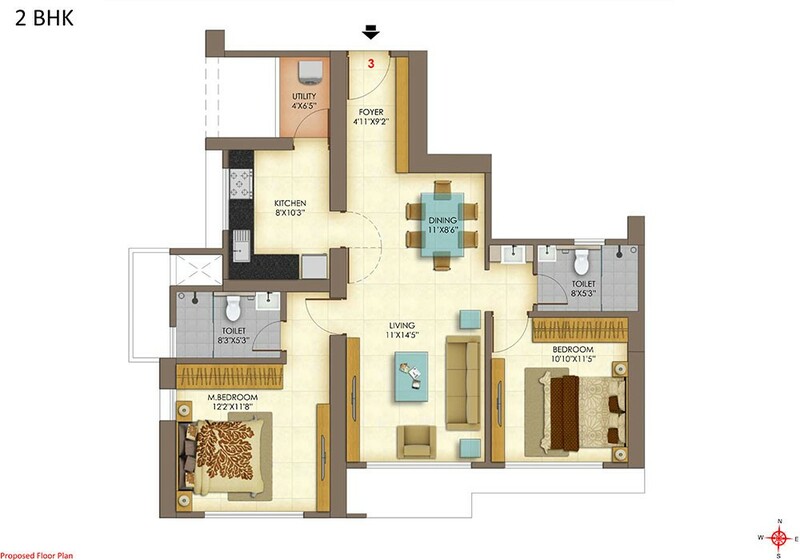 The three bedroom plan boast of very decently sized bedrooms, kitchen and toilets. They have huge living and dining area as well. There is a separate maid’s room as well which is accessible from the utility area. The only problem that we have with the floor plan is the fact that there are no common bathrooms. All are attached to respective bedrooms which should not be a big issue in case one of the bedrooms is converted into a guest room. If the past record of Peninsula Land is anything to go by, this project should be one of the landmarks in the vicinity. Usually, their launches are done only, after all, permissions are in place, so our suggestion will be to seriously consider the option if you are looking for a spacious and luxury apartment in the heart of Mumbai.